This part explores how television came to Western Australia and the battle to get enough viewers to make the industry viable. It really was the pioneering days, as the exchange of programs between other countries, with different television systems, was fraught with technical problems. The industry changed greatly as governments changed rules for operating television stations and new technological developments reduced the isolation Western Australia experienced. The early isolation enabled the local stations to maintain a high level of autonomy, but this was eroded as laws were amended, telecommunications between the States improved and stations changed hands. Centralisation and networking completely altered the television landscape, with Sydney and Melbourne becoming the hubs, rather than each city running its own service. Now the industry faces new challenges of a global nature, as the Internet joins everyone together to enable a great variety of services to be delivered. The speed of change is accelerating as new innovations and business models put the old media models at risk. Those who cant keep up will get left behind as the media moguls try to grasp the new notions and control them. Not all are having a lot of success, as newspapers are in decline and new threats arrive for the advertising dollar. The delivery method for television is undergoing a dramatic transition, which is exciting for the viewer, but not necessarily so for the broadcaster who must anticipate correctly which path to take for then to survive. 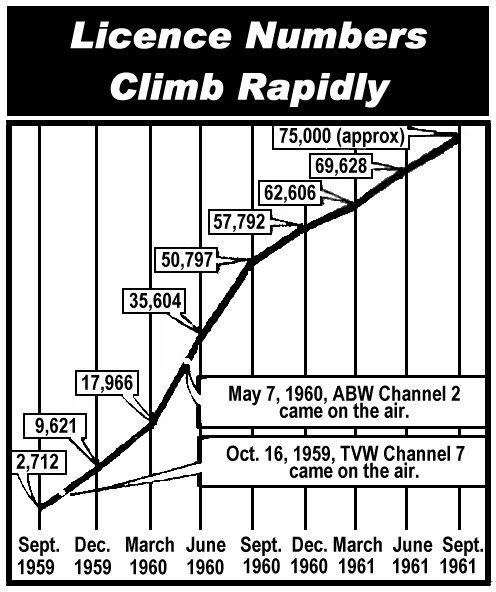 By the time TVW opened on October 16th, 1959, there were only 3,387 licensed TV receivers in the State. However it was estimated that each household had at least 12 to 15 people watching the opening, which could amount to some 60,000 viewers. 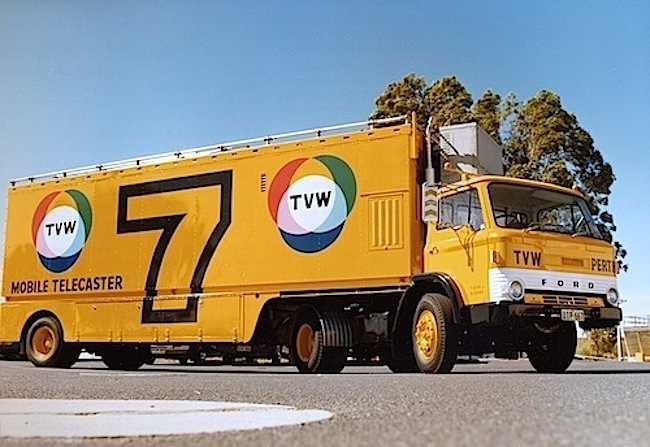 It was six months between TVW Channel 7 and ABW Channel 2 opening in Perth, and during that time TV retailers had overstocked on sets after being misled by manufacturers about expected demand, causing them to order more than they could sell. There was also an increased number of retailers entering the market and this led to a discount war of up to 12% to 15% reductions on certain makes of television. The pressure on stores was exacerbated when manufacturers insisted on prompt payment and started refusing to sell at a wholesale discount. Some of Perth’s oldest and best established electrical firms were shaken to their foundations by the television debacle, with their future hinged on the impact Channel 2 made on viewers. Following the launch of ABW2 on 7th May 1960, the stalled sale of TV sets in WA then grew to about 40,000 with many suburban cinemas needing to limit their screenings. There were clear indications that theatres would be forced to close. After an 80-year tradition, the ABC axed its radio plays, decades after their commercial equivalent caved after TV capturing the night audiences. These ABC photos show a drama team broadcasting a play circa 1935, from left, producer Lawrence Cecil, with John Wheeler, Elaine Hammell and John Pickard, and the Blue Hills cast reading through a script. Blue Hill was a popular serial of 5,795 episodes that was broadcast over 27 years. Australia had a very active radio drama output prior to television, which was decimated by the new visual medium. We did not have the economy of scale that the United States enjoyed, nor the Hollywood advantage of vast program making facilities to generate huge quantities of TV drama output for a large market. As a consequence, it was cheaper for the local commercial stations to purchase programs from the US than attempt to make them. 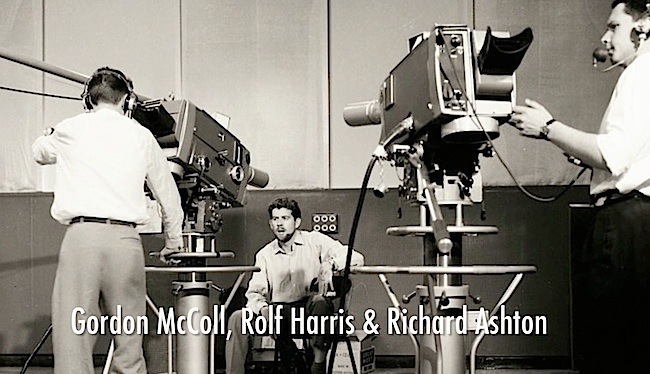 In the case of the ABC, many programs were bought from Britain, though the BBC had a tendency to produce drama and situation comedy shows using electronic studio cameras, rather than shoot on film, as the US preferred to do. The ABC suffered by buying 405-line shows that were kine-recorded (using a film camera pointed at a high persistence TV monitor) which in turn resulted in an inferior picture compared to the Hollywood produced shows. This may have been a factor in the ABC attracting a much smaller TV audience in the early days. In addition to the fact that the British shows were missing the razzle-dazzle of American show business. The ABC tried to emulate the BBC and everything had a British sensibility. 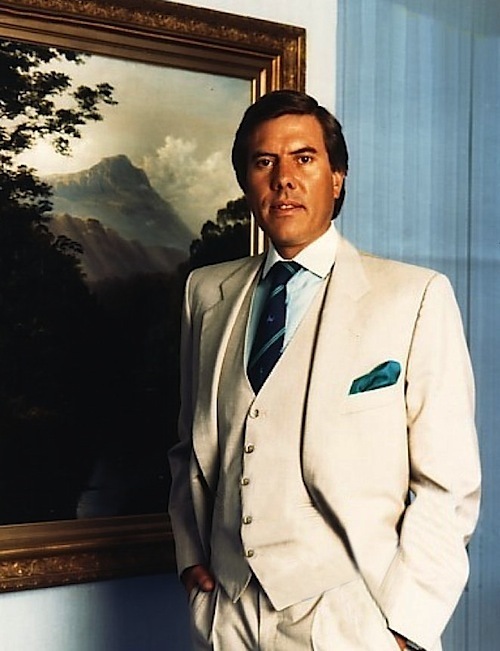 The main ABC TV programming was centralised, whereas the autonomous TVW programming had the local touch of general manager Jim Cruthers, which the viewing public responded to more in numbers. Cruthers was raised in the world of newspapers, being mentored by the West Australian’s managing editor James Macartney. The culture he knew was one of responding to the local readership, and garnering a strong distribution by providing what the public wanted… even if that was bolstered by gimmicks such as find the ball competitions and well intentioned community involvement. What he learnt in this field was successfully transposed into television. Cruthers was supported by Brian Treasure, who had a flare for drumming up deals with not only sales clients, but program suppliers, which not only gave TVW the best shows America could offer, but ensured commercial profitability. The film picture quality of shows coming from the leading Hollywood studios far exceeded the inferior British kine-recordings. Studios such as Warner Brothers shot everything on 35mm, which was then reduced to quality 16mm prints for TVW broadcast. The vivid black and white imagery of ‘Maverick’, ‘Cheyenne’ and ’77 Sunset Strip’ far exceeded the blurry vision WA viewers experienced watching the early episodes of ‘Dr Who’. Even though the Doctor proved popular, to now hold cult status and high production standards, the productions back then were poor compared to the slick US product. 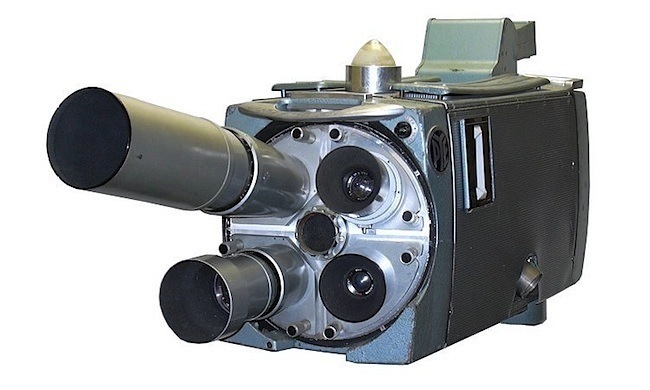 Both TVW and ABW used the same brand of PYE telecine chains with Philips projectors (which STW later used), so it was the source program material which made the difference. The BBC picture quality improved greatly when videotape was introduced, though the difference in broadcasting systems proved a hindrance until the UK adopted the 625-line system. Meanwhile, the commercial stations were at a disadvantage trying to broadcast US made 525-line studio programs, such as the popular American variety shows. These at first were distributed as kine-recordings until systems conversion equipment was developed of a high standard. Bing Crosby and Perry Como shows came to us as kine-recordings during the 1960s. This clip is an example of the inferior quality we had to endure until quality 525-line to 625-line systems conversions became available. By 1964 Perth’s population had reached 510,000 and there were a total of 100,280 homes with TV. This represented nearly 70% of the total number of homes in Perth. The Crawford Productions’ Melbourne-based police drama Homicide premiered on 20 October 1964 on HSV-7, soon followed on 11 November by the ATN-7 satirical sketch comedy series The Mavis Bramston Show (which at its peak drew an unprecedented 59% of the audience), followed then by the rural soap opera Bellbird on the ABC in 1967. Up until that time, most attempts at television drama were championed by the ABC, with often costume dramas set back in our convict days. These too were often made in the ABC studios using electronic cameras and distributed in kine-recorded form until videotape became the norm. One hour of two inch wide videotape amounted to 5400 feet of magnetic tape, which was considerably heavier that the equivalent program distributed on 16mm film. The videotape was also more expensive and fragile should it be subjected to magnetic fields. The greater bulk and weight would have impacted on handling costs, whilst the magnetic recording format made videotape program duplication a time consuming process, as it needed to be done in real time compared to the higher speed optical copying of film, which then needed to be processed. It was not uncommon for the master tape of Homicide episodes to be distributed around the network. Cut videotape editing was the early practice until electronic, followed by computer editing were introduced. A master tape could contain many fragile cut edits, which were obvious on playback to the duty videotape operator, owing to the noise they made as they passed through the high speed head wheel assembly (using RCA terminology) and drum (using AMPEX terminology). The second commercial TV license in Perth was granted to Swan Television, following which STW Channel 9 began broadcasting on the 12th of June 1965. 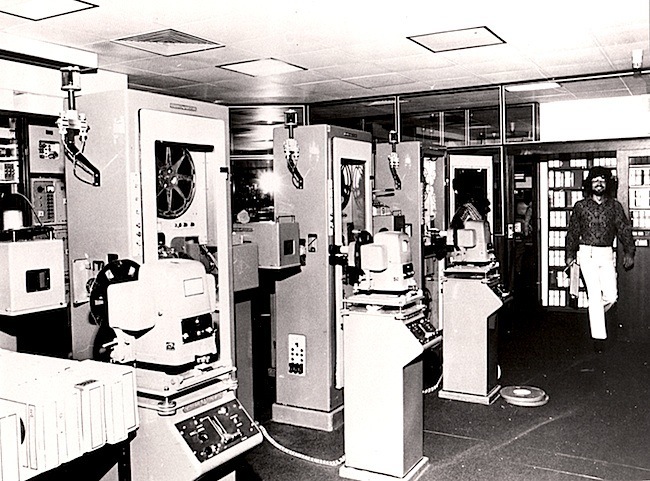 STW also purchased the same brand of black and white telecine equipment as Channels Seven and Two, but had the advantage of videotape facilities from day one, whereas TVW and ABW didn’t adopt this technology until 1962. The Golden West Network (GWN) began life as a group of smaller, independent stations when South West Telecasters won the license for Bunbury and Albany (launched on 10 March 1967 as BTW-3 in Bunbury, with a relay in Mount Barker that commenced the next year). It was the development of nine prominent Bunbury businessmen and four prominent Western Australian companies. Then Jack Bendat and Kerry Stokes came to South West Telecasters (owner of BTW/GSW) in 1978/79 to gain control and change the company’s name to Golden West Network. Following which The Golden West Network expanded to cover regional and remote Western Australia, servicing all areas except metropolitan Perth. In 1987, Bendat and Stokes sold these media interests, but they were bought back by Stokes the following year. Prime Television purchased GWN from Stokes in November 1996. TVW’s old parent company, West Australian newspaper, was a locally-edited and owned daily newspaper run by the publicly-listed company West Australian Newspapers Limited, until The Herald and Weekly Times Limited (H&WT) bought the company in 1969, but then sold it to Robert Holmes à Court in 1987, as part of the News Limited takeover of H&WT. 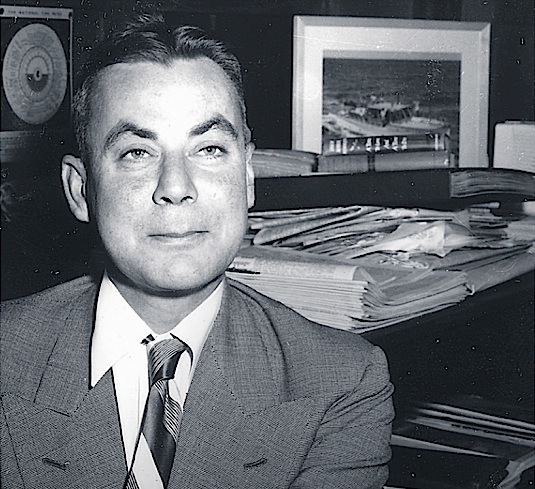 The West’s managing director James Edward Macartney (1911-1977) left in May 1969 and was engaged by STW-9 as a consultant. Interestingly, it was Macartney who instigated the establishment of TVW Channel 7, and participated as an influential board member until he resigned in May 1968. Macartney then joined Seven’s competition. Western Australia became less isolated from July 1970, when the cross Nullarbor broadband micro-wave radio link improved telecommunications capacity, which enabled the exchange of television content. It was a limited resource, that needed to be booked months ahead and at great cost. This cost was a motivator for a satellite link to be established. Satellites could free the networks from the stronghold that the Postmaster-General’s Department (1901-1975), Telecom (1975-1989) and later Telstra (from 1989) held over this important conduit of communications. The satellite would make content exchange more affordable, and open the opportunity for networked programs to be broadcast in the West. In 1972 it was announced that all stations would move to colour television in 1975, which was officially introduced at midnight on March 1st 1975, using the European PAL standard. This was the start of the revolution as the home TV set began more and more to emulate the advances in cinema technology. Prior to station launch in 1959, TVW made a point of thoroughly rehearsing the station opening and program presentation. It would appear that this was more so with Seven than with Nine, for their opening night in 1965 was mostly a disaster. On the evening of STW’s launch, TVW’s Brian Treasure was slightly concerned as competing staff had made claims at the local bar that Nine would walk over Seven. Many valued Seven staff had left to make the trip down the hill to STW in the lead up to the launch, with a proportion of the key technical and operational staff coming from TVW. As the opening night of STW unfolded, it became all the more embarrassing as numerous film count-downs went to air, with films broadcast backwards and upside down and sound out of synchronisation. Much time was spent viewing the stations fish tank, which earlier had been introduced to the viewers with the various goldfish named. Treasure walked into the TVW program continuity studio that night to announce with a smile, “Fellows, I don’t think we have anything to worry about”. Fortunately, STW lifted its game considerably after that, though the viewers at first would have made an unfavourable comparison with TVW’s professional and slick operations. 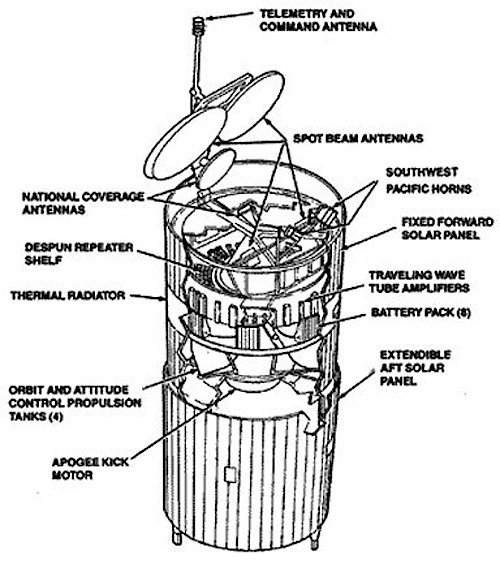 TVW 7 was in a position to outbid STW 9 for programs, if it had wished to, but instead formed a buying cartel with STW 9 to ensure that the presence of another station did not inflate the cost of program purchases from overseas and Eastern states sources. To operate this cartel a separate company called TV Facilities was set up in which the two stations were equal partners. Because all programs were purchased through this single buying authority, Perth TV paid less for its programs than it would have if Channel 7 and 9 were competing against each other for programs. When colour television was introduced, there were penetration levels of 1% in 1975 and 20% in 1976. It did not reach 50% until 1977. The vivid colours combined with energetic camerawork made the ABC’s ‘Countdown’ a great ambassador for this sensational new addition, regardless of this, the high cost of colour TV sets were at first a deterrent to their purchase. Up until 1978, neither TVW nor STW were affiliated with any particular network. In fact historically, TVW took many shows from TCN-9 in Sydney and GTV-9 in Melbourne. Brian Henderson’s ‘Bandstand’ and Bobby Limb’s ‘Sound of Music’ from TCN and Graham Kennedy’s ‘In Melbourne Tonight’ from GTV are prime examples, whilst the raunchy and highly popular ‘Number 96′ came from TEN in Sydney. Nine was the top rating network Australia wide and TVW was showing many of their best. Shows they traditionally took before STW came on the scene. Then in 1978, STW decided to affiliate with the powerful Nine Network run by Kerry Packer, which improved their rating performance considerably. STW’s breakaway coincided with Kerry Packer’s World Series Cricket, which itself broke away from traditional cricket. This was a professional competition staged between 1977 and 1979 that competed with the establishment by adding colourful uniforms and energetic use of camera angles with many different viewing perspectives. A dramatic departure from the staid BBC and ABC coverage. In 1979, commercial stations were mandated to provide ‘C’-classified programming targeted at children between 4-5pm, and a minimum of 30 minutes of pre-school programming prior to that. These regulations saw the establishment of a number of children’s series including Simon Townsend’s Wonder World and Shirl’s Neighbourhood. Also in 1979, the Federal Government decision to relax Electronic Media ownership rules lead to a flurry in takeover activity in the ownership of Australian Television Stations. Robert Holmes à Court and his Bell Group bought TVW 7 in 1982. Alan Bond’s Bond Corporation bought a major share holding in STW 9 in December 1983. In 1983 a two-hour experiment was conducted, in which the Seven Network televised a series of 3D films. On the 1st July 1983, The Australian Broadcasting Commission becomes the Australian Broadcasting Corporation. Broadcast times were gradually increased over succeeding decades, although the ABC did not commence 24-hour broadcasting until 1993. Applications for a third commercial TV licence in Perth were invited by the Minister for Communications Michael Duffy in April 1984. Perth was now larger than Adelaide – and Adelaide had a third commercial station for the previous twenty years. Initially, the Tribunal received submissions from four applicants for the third commercial licence: West Coast Telecasters, Now Television, Perth Television and Western Television (Sunday Times, 7th October 1984, page 3). This was reduced to two applicants: West Coast Telecasters and Western Television. The high cost of maintaining expensive legal counsel had forced two of the initial applicants out of the race. Now Television withdrew early on and Perth Television (involving ACE Theatres) joined with the Western (Taimac, Laurie Connell, Jeans West, RAC and Darcy Farrell) application in August 1985. STW Channel 9 became the first station in Perth to broadcast 24 hours a day on 17 April 1984. 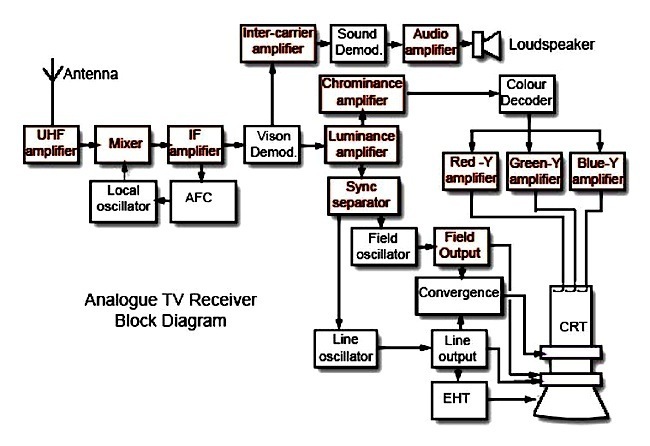 Television stereo sound broadcasting started officially in Australia in 1984, though test programs were broadcast earlier with programs such as ‘Hey Hey Its Saturday’. 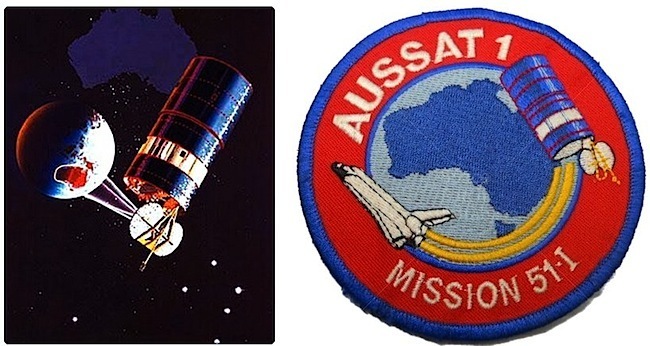 1986 saw the introduction of a new, domestic satellite called AUSSAT, and by the end of 1986 the Australian Broadcasting Corporation was broadcasting both television and radio to remote areas of Australia. In March 1987 a Senate Select Committee recommended that the ‘two station’ rule be abolished in favour of a 60% market share of the Australian viewing audience, as part of a total replacement of the old Broadcasting Act 1942. The Government also introduced rules limiting cross-media ownership between the press, TV and radio. In 1987, Alan Bond bought two key Nine network stations TCN9 in Sydney and GTV9 in Melbourne from Kerry Packer, then in October 1987, the stock market crashed. The financial pressure placed on Robert Holmes à Court’s Bell Group eventually led to a takeover by Bond Corporation Holdings Ltd. The takeover was completed around the end of 1988, which then gave Bond control of the West Australian newspaper. 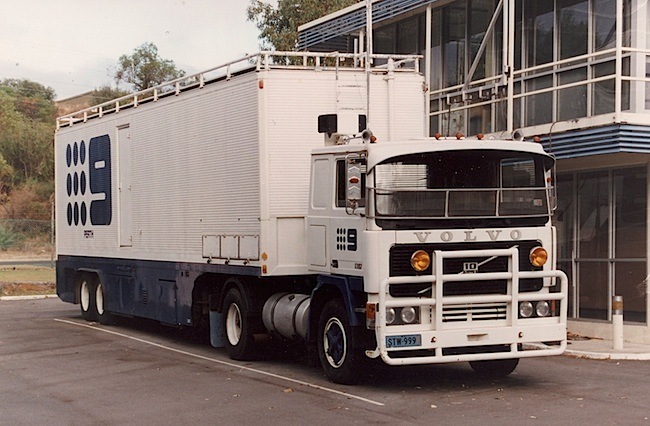 Also in 1988, Christopher Skase and his Qintex group bought TVW7 (Perth) and SAS (Adelaide) from Robert Holmes à Court. Perth’s third commercial television station NEW Channel 10 went to air on Friday May 20, 1988. After former TVW co-founder Brian Treasure retired from Seven Perth in December 1975, his business dealings involved working for Nine network boss Kerry Packer and establishing Perth’s first commercial FM radio station, 96FM, with funding from Kerry Stokes and Jack Bendat. This team also created West Coast Telecasters, the successful applicant for the NEW Channel 10 licence in Perth. Though the company was sold to Frank Lowy’s Northern Star Holdings before they went to air, as a result of a change in government policy. From 1989, Federal Government legislation amendments resulted in one of the most significant changes for regional television in Australia with the introduction of aggregation. Instead of being covered by a single commercial channel, regional license areas would combine to provide three stations in line with metropolitan areas. As a result, most regional areas went from one to three channels, although some, particularly outside eastern states New South Wales, Victoria and Queensland, remained with two or even only one commercial station. The PRIME7 Television Network was formed in Australia as a result of the above legislation changes, that were designed to give all Australians equal access to “free-to-air” services. Since 1989, PRIME7 has added Golden West Network (Western Australia) to its television broadcast regions. In the eastern states of Australia the broadcast signal is branded as PRIME7. In Western Australia the broadcast signal is known as Golden West Network (GWN7). GWN7 is affiliated to the Seven Network, with the network’s on-air schedule closely following that of TVW-7, its Perth counterpart. The network’s transmission operations were moved from Bunbury to Prime Media Group’s digital broadcast facility in Canberra in April 2005. In 1989 Bond Media sold STW Channel 9 to Sunraysia Television for A$95 million. The deal also involved Bond Media purchasing the Sunraysia owned STV-8 for A$18 million. Bond Media was forced to sell due to the Federal cross-media ownership laws, which restricted the level of national reach for media owners. In October 1989, Qintex collapsed after an unsuccessful takeover of the Hollywood film studio MGM/UA, that was repeatedly bought and sold by Kirk Kerkorian. The Qintex collapse left TVW in the hands of receivers. From June 14th 1991, SBS TV was permitted by the government to broadcast five minutes of advertising per hour, as a form of additional funding. During the 1990s the first subscription television services were introduced to Australia. The first license was issued to Galaxy Television, which started in 1993, providing services to most metropolitan areas by 1995. Other major providers include Foxtel, Optus Television and AUSTAR, all of which were introduced in 1995. Community television was introduced to Sydney, Melbourne, Brisbane and Adelaide in 1994. The stations, which all broadcast on ‘Channel 31′, were allocated long-term temporary licenses until new legislation introduced in 1997 permitted permanent licenses to be granted. Access 31 in Perth followed in 1999. In 1995, Kerry Stokes acquired a dominant stake in the Seven Network (initially around 20% but subsequently increased to over 40% through purchases and share buy-backs). WIN Television was granted the rights to a second television license in regional Western Australia in 1997. 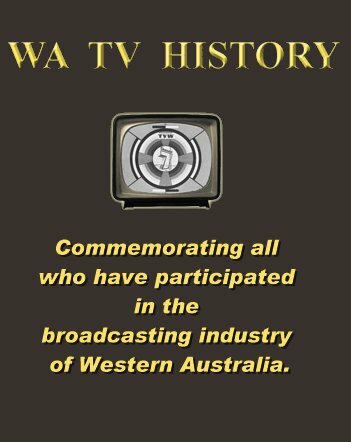 Then on March 26th 1999, WOW, Western Australia’s second regional commercial television network was launched (owned by WIN). The DVD player was launched in 1997 and had only reached 13% penetration by 2001. 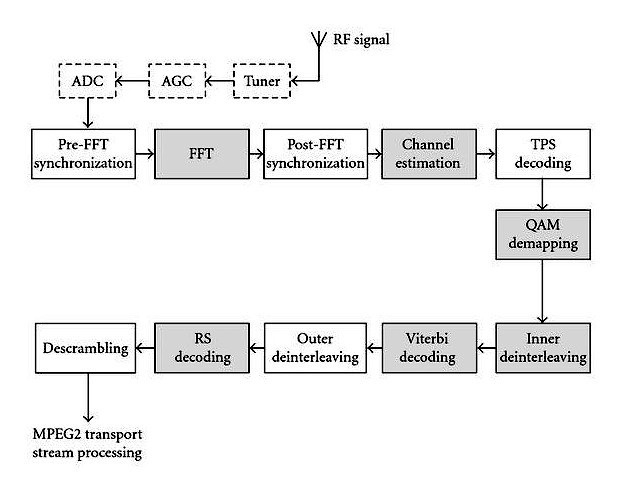 Digital terrestrial television was introduced in 2001, with DVB-T transmission encoding and MPEG-2 compression, limited by the carrying capacity of the 7MHz channels used for television broadcasting. A proposal for a third regional television station – a joint venture between GWN7’s parent company Prime Media Group and WIN Corporation – was submitted to the Australian Communications and Media Authority in 2006, with the new channel to operate under a Section 38B license, as a Network Ten affiliate named Ten West. In June 2007, STW Channel 9 shareholders approved the sale of the station to 45% shareholder WIN Corporation for $163.1 million. Australian television has since grown to include: five national free-to-air stations, regional stations, community stations and countless Pay TV stations. 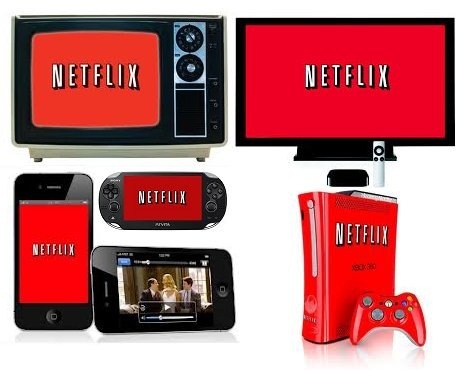 Meanwhile, Pay TV penetration has remained fairly stable at around 24%, but with only an 11% share of nightly viewing. Therefore Pay TV with all its channels garners about the same nightly audience as the ABC with its few. 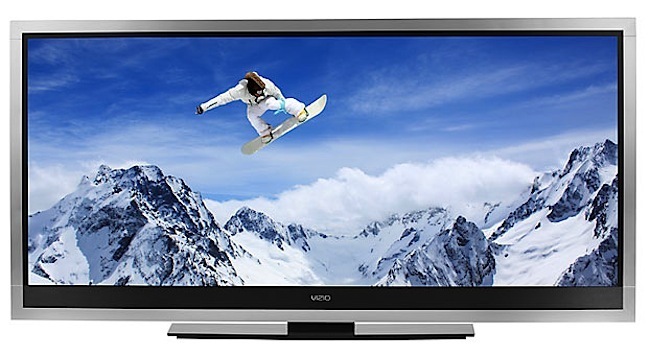 Television started in australia with the cathode ray camera tube and television set picture tubes, but since then equipment has not only shrunk, it is also become less expensive with remarkable quality now obtainable from domestic cameras and personal computer based editing. The cameras in smart-phones keep improving so that 1080p has become the norm, with video editing Apps and the ability to upload to the Internet now common place. Digital cameras now use sensor chips, known as the charge-coupled device (CCD), whilst the home viewing experience has also seen a resolution with space saving flat screens that save in width but more than make up in screen size. New terminology has been added to our technology vocabulary with the Plasma Display Panel (PDP) and the Liquid Crystal Display (LCD). Equipment that gives the home a viewing experience which challenges the cinema with a clarity of image thats often better than the old film projector establishments… assuming one is watching a high definition channel that is broadcasting true HD. A plasma display panel (PDP) is a type of flat panel display common to large TV displays 30 inches (76 cm) or larger. They are called “plasma” displays because the technology utilises small cells containing electrically charged ionised gases, or what are in essence chambers more commonly known as fluorescent lamps. Image burn-in occurs on CRTs and plasma panels when the same picture is displayed for long periods. This causes the phosphors to overheat, losing some of their luminosity and producing a “shadow” image that is visible with the power off. Burn-in is especially a problem on plasma panels because they run hotter than CRTs. Early plasma televisions were plagued by burn-in, making it impossible to use video games or anything else that displayed static images. In 1936, a Hungarian engineer Kálmán Tihanyi (1897-1947) described the principle of “plasma television” and conceived the first flat-panel display system. He was the same engineer who had designed a television system with fully electronic scanning and display elements in 1926. He made significant contributions to the development of cathode ray tubes (CRTs), which were bought and further developed by the Radio Corporation of America (RCA), and the German companies Loewe and Fernseh AG. The monochrome plasma video display was invented in 1964 at the University of Illinois and found its way into adding machines, cash registers, calculators, pinball machines, and various instrument displays. In the late 1960’s, Larry F. Weber completed his PhD studies in this area at the same University. 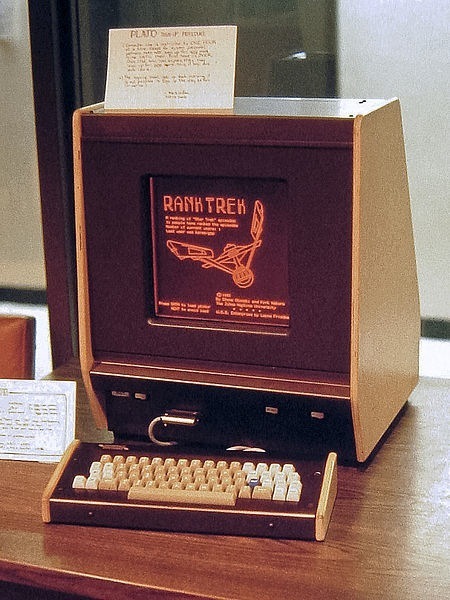 In the 1980s, IBM built a plant to make a 19-inch (48 cm) orange-on-black monochrome display for computer terminal use. The plant was bought from IBM by a start-up company called Plasmaco, which was co-founded by Weber. In 1992, Fujitsu introduced the world’s first 21-inch (53 cm) Plasma full-colour display. It was a hybrid, based upon the plasma display created at the University of Illinois, that achieved superior brightness. In 1986, Panasonic purchased Plasmaco to acquire its technology and US factory. Other manufacturers then followed. 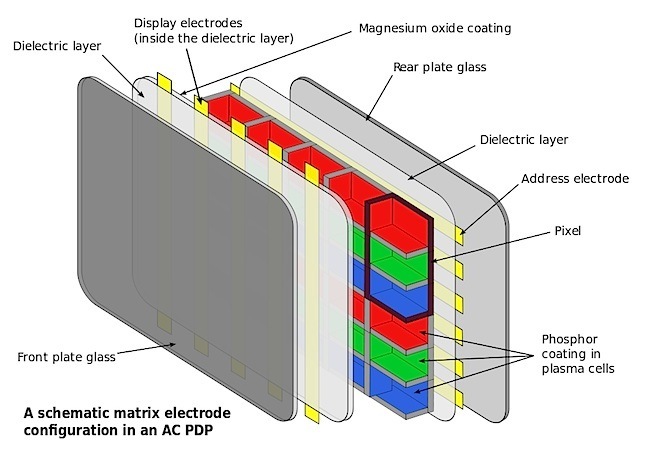 A plasma display consists of two transparent plates of glass with a thin layer of pixels sandwiched in between. Each pixel is composed of three gas-filled cells or sub-pixels (one each for red, green and blue). A grid of tiny electrodes applies an electric current to the individual cells, causing the neon and xenon gas in the cells to ionise. This ionised gas (plasma) emits high-frequency UV rays, which stimulate the cells’ phosphors, to glow the desired colour. Plasma and LCD (liquid crystal) displays work in two very different ways. Liquid crystals were first discovered in 1888, by the Austrian botanist and chemist Friedrich Reinitzer (1857-1927). Reinitzer discovered these properties whilst experimenting with cholesteryl benzoate. He noticed that this substance seemed to have two melting points. At 145.5°C the solid crystal melted into a cloudy liquid which existed until 178.5°C where the cloudiness suddenly disappeared, giving way to a clear transparent liquid. This in effect became a fourth state of matter. Solid, liquid, gas and now liquid crystal. Reinitzer found three important features, the existence of two melting points, the reflection of circularly polarised light, and the ability to rotate the polarisation direction of light. These two of these features are used to advantage in an LCD. Later a French theoretical physicist, Pierre-Gilles de Gennes (1932-2007), who had been working with magnetism and superconductivity, turned his interest to liquid crystals in 1968 and soon found fascinating analogies between liquid crystals and superconductors as well as magnetic materials. His work was rewarded with the Nobel Prize in Physics 1991. The interesting thing is that not only are liquid crystals temperature sensitive, they can also be manipulated by mechanical, magnetic or electric forces. 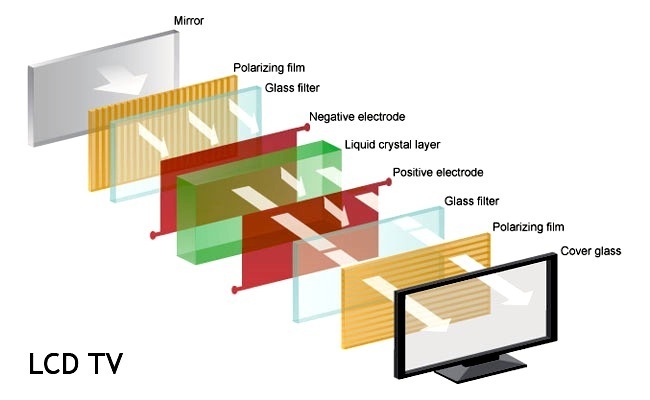 If an electric field is applied across a liquid crystal, its molecules will arrange themselves parallel to the electric field, and in doing so can strongly affect the polarisation of light passing through the crystal. The liquid crystal display consists of two polarising transparent panels and a liquid crystal solution sandwiched in between. 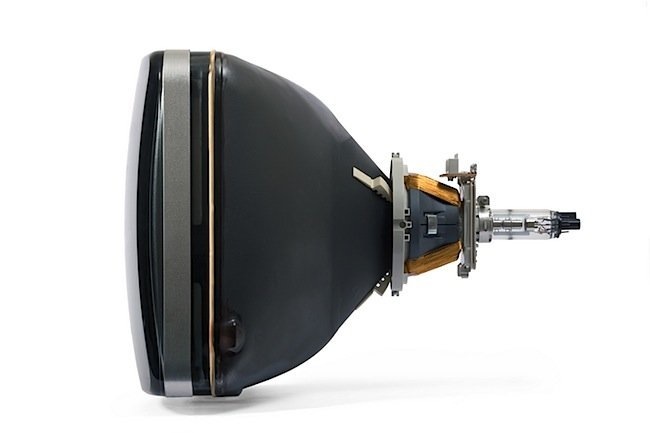 It has a mirror in the back, followed by a sheet of glass with a polarising film on the bottom side, and a negative electrode plane made of indium-tin oxide on top that covers the entire area. Next is the layer of liquid crystal, then a second plate of glass, with a positive electrode on the bottom and another polarising film on the top, at right angles to the first one. When there is no current applied to the electrodes, light entering through the front of the LCD will simply hit the mirror and bounce right back out. But when a current is applied to the electrodes, the liquid crystals untwist and block the light in that region from passing through. That makes the LCD show that region as a black area. Small and inexpensive LCDs are often reflective, which means to display anything they must reflect light from external light sources like an LCD watch. More sophisticated displays have built-in fluorescent tubes with a diffusion panel to scatter the light evenly. About half of the light is lost as it travels through the different layers. So the light in a modern LCD panel isn’t created by the liquid crystals, but by a light source behind the panel, that shines light through the display. A picture display is created by building a matrix of squares that are individually controlled to form a large number of individual picture elements (pixels). 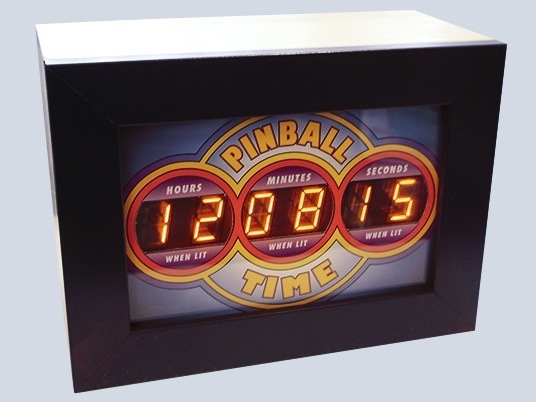 Passive-matrix LCDs use a simple grid to supply the charge to a particular pixel on the display, but these notably have a slow response time. 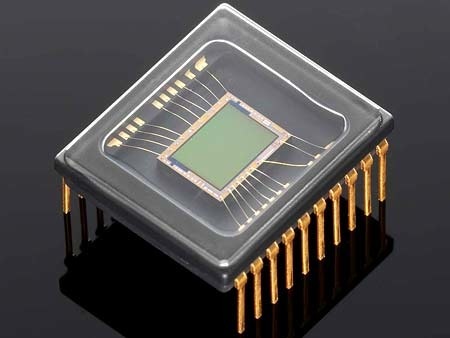 Active-matrix LCDs use thin film transistors (TFT), which are tiny switching transistors and capacitors that are arranged in a matrix, with a capacitor assigned to each pixel. The amount of charge in the capacitor will then determine the amount of light let through, so in this was an LCD can create a grey scale. Then to display colours, an LCD must have three sub-pixels with red, green and blue colour filters to create each colour pixel. Expect some surprises in the next decade, more than the last five, as incredible as they were. There’s so much happening in the United States with new start-up companies all vying to reinvent the television medium. All sorts of concepts are being tried, as if no one is really sure where things are heading, but they are trying everything to tap into the next big cash stream. Much of what is happening over there is not seen here owing to zone restrictions which protect local markets. When we take a look at the music-streaming revolution in the past year or so. 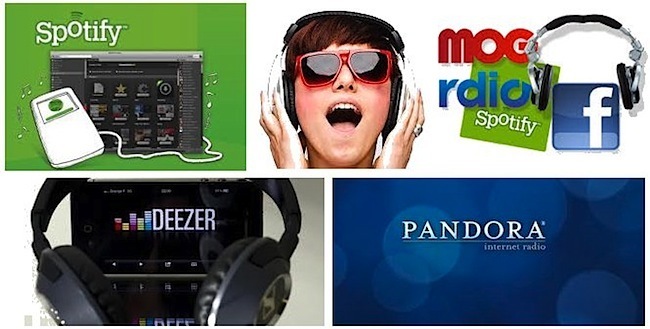 Spotify, Rdio, MOG, Deezer, Pandora, iTunes Radio and others are all legal, and provide an instant music listening experience. Meanwhile with TV and movies, the United States is aiming towards the same instant gratification with high quality, on any device, with a well-designed, convenient interface. Australia still seems to be a decade behind. Netflix offers a lot for a mere $8 per month in the US, and is earning so much revenue that they’re now commissioning their own original shows. Such as, Kevin Spacey and Robin Wright in ‘House of Cards’. An adaptation of a previous BBC miniseries of the same name which is based on the novel by Michael Dobbs. In the US, the series was uploaded to the Netflix website for download by members to view as they liked. They could watch one episode a week or binge and watch the lot at once. It is not tied to a schedule or interrupted by commercials. 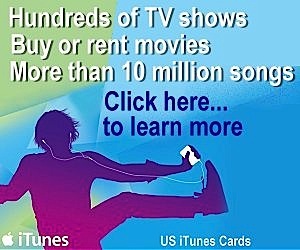 Nor is it tied to a television set as it is available on a number of devices. In Australia, Foxtel premiered the series on Showcase on May 7, with all 13 episodes also made available on Foxtel Go and Foxtel On Demand from that date. The popular Foxtel Go app allows Foxtel subscribers to view live and catch up content on the iPhone, iPad and soon on Android devices. Next, Foxtel will introduce a new internet delivered TV service in June 2013 called Foxtel Play to allow customers to subscribe with no contract from $25 per month. Users will be able to view the service through smart TVs, computers and gaming consoles. Foxtel Play will also be accessible over 3G/4G and Wi-Fi, just like the Foxtel Go iPad app. The Foxtel ‘On Demand’ service delivers TV and movies straight to the High Definition iQ2 set-top-box via an internet connection. It includes a rental service offering New Release, recent and classic movies, as well as episodes from popular TV shows at an additional fee for Foxtel customers. ISP charges may also apply. The iQ2 is a digital video recorder that you’ll never own. Originally $200 for the install, but now $99 or $75 for an upgrade from iQ, plus $10 rent for the box per month. The new model of the iQ2 is now being marketed as an iQHD. Initially one had to pay a second $200 install to upgrade from an iQ to an iQ2, and of course hand back the iQ, thus flushing $200 down the drain. Foxtel is a little more lenient now. 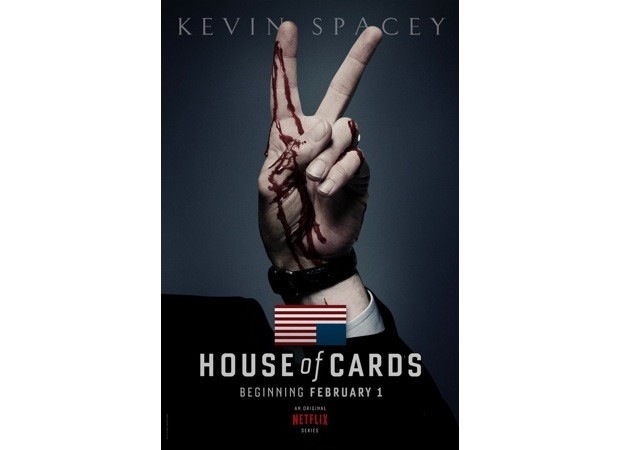 House of Cards is the second major series from Netflix to be released in a way that defies the traditional distribution model. 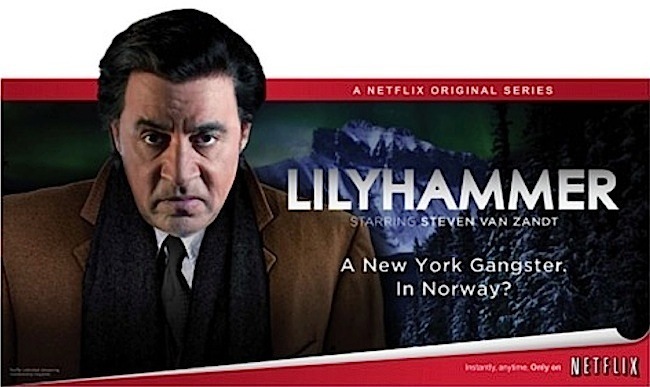 Another Netflix drama series, Lilyhammer, proved popular on SBS ONE. 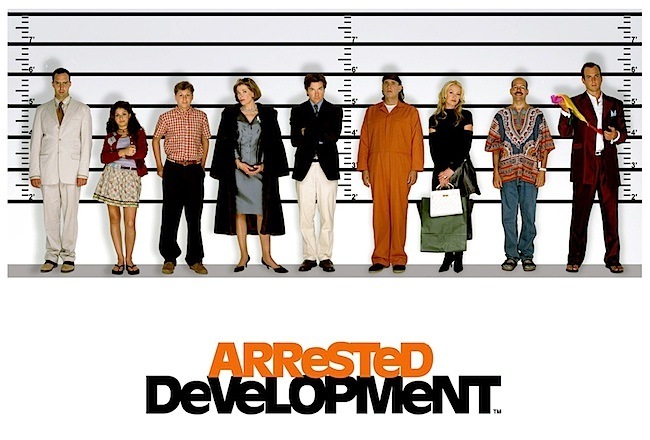 Netflix will follow up with a sci-fi series to be created by the makers of The Matrix trilogy, Lana and Andy Wachowski, and the new series of the acclaimed sitcom Arrested Development, starring Jason Bateman. 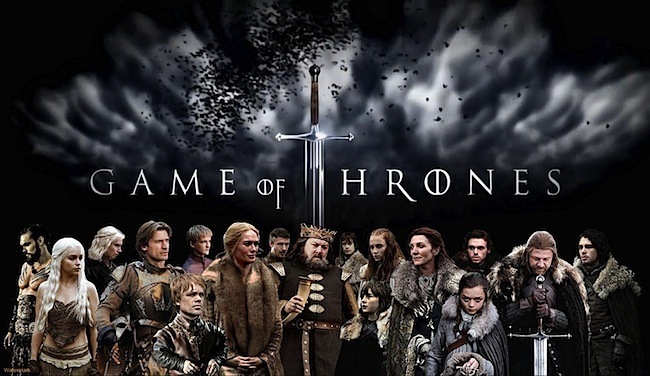 The most illegally downloaded TV show in Australia, ‘Game of Thrones’, is also available on Showcase. Its an American epic fantasy television drama series created for HBO and made in Northern Ireland. Interestingly, the US ambassador to Australia Jeffrey Bleich, himself a fan of the show, has pleaded with Australians to stop illegally downloading it. He was troubled to find out that Australian fans were some of the worst offenders with among the highest piracy rates in the developed world. Many see this as an indictment of the situation in Australia, that viewers find it necessary to do this, and are thus not prepared to subscribe to Pay TV for what they consider to be an exorbitant fee, to then get commercials and a huge amount of rubbish they don’t care for, and a limited amount of shows they do. Australia often lags behind in meeting such needs, and much of it has to do with us having less population, and thus being less important as a market. This dates back to the cinema when we had to wait to see new movie releases. It was even worse in the suburban picture houses when movies could be many years old. Then when television arrived, many of the shows were also years behind the US and movies seemed to date back to the dark ages. There is a demand that shows be fast tracked from the US, to pre-empt the need for people to download shows illegally, though now many of Australia’s popular programs are locally made, thus alleviating the situation all together. Not only that, but our talent is so highly regarded that local actors are increasing being syphoned off by the United States. Fortunately, training institutions such as the WA Academy of Performing Arts and other Australian institutions are pumping out artists of a high standard, and at a constant rate. Now Australian developed television series are being copied in the US. The only down side is of Government cutbacks in funding for these institutions.